Hey PlayStation gamers, Simon here from Spearhead Games! I thought I would give you all a glimpse into the project our small Montreal-based studio has been working on. For the last few months, we’ve been putting together a game called Stories: The Hidden Path. Stories is an action-RPG set in a vibrant universe filled with floating islands, majestic airships, and flamboyant magic. Our hero is Reynardo, a sky corsair in a bit of a bind. As the sole survivor of the vanguard, he is the last line of defense against the mighty imperial armada about to overtake the entire realm. Reynardo fights against impossible odds, knowing that the fate of everything he holds dear rests on his shoulders. We’re building Stories to feel like an enchanted book with a different tale to tell each time you open it. Every choice you make in the game affects the storyline in real-time, and the narrator adapts his tale dynamically to reflect your course of action. With beautiful illustrations at every turn of the page, Stories will have you diving deeper into the narrative nuances each time you play. We want to make Stories more than a traditional action-RPG, so we’re crafting a fresh storytelling system that we think will bring extra charm — and maybe even a few surprises — to our newest title. We’re super-proud of how the game is turning out and very excited to share more with you all in the coming months. 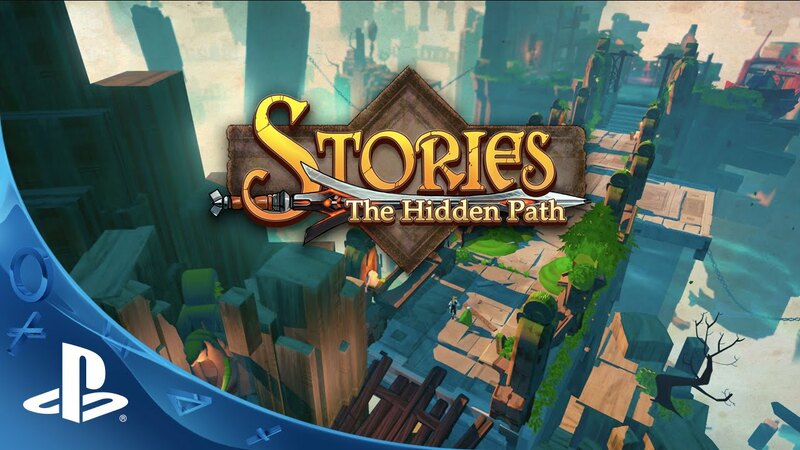 If you’re attending PAX Prime, swing by booth #6912 to try out Stories: The Hidden Path! Looks pretty interesting. I’ll be keeping my eye on this. Gorgeous sense of style, and I like what you seem to be hinting about player agency in the storytelling. Where are you marketing this, for how much, and when? sEND IMMEDIATELY FOR FURTHER EVALUATION. Reynardo and Lepino? So….Fox and Rabbit? (For those who don’t know, Reynard is another name for a male fox and rabbits are of the Family, leporidae.) I am actually fine with this. Normally people would be critical of simplistic names like that, but it just means that the names of the characters aren’t as important as the story. If you name these characters something complicated, you make the characters the focus, but if you name a fox and rabbit “Fox” and “Rabbit” then you take the focus off of them and put it on the story. So, this is a very story driven RPG. Seems interesting. Spearhead are francophones from Montreal. In French, fox is “renard” and rabbit is “lapin”. So… They’re basically call Foxo and Rabbito. Only Reynardo and Lapino just sound that much cooler!!! The plot seems interesting, the storytelling system is very intriguing and it just looks cool. Also I’m from Montreal too so you guys got a day one purchase from me. That’s some beautiful art design. 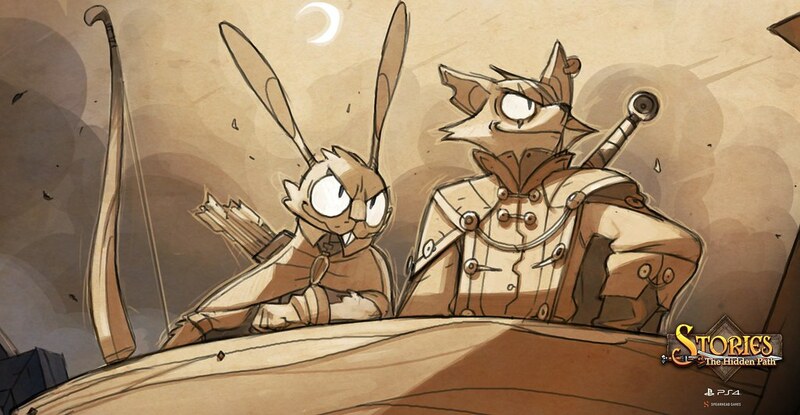 Fantastic Mr.Fox meets Don Karnage in Diamond Age. Will be watching closely. When do you see this would be polished to beauty? Coming months? More than one? Nooooooo!!!!! Simon, get in a time machine or something. Really want this now. A really engrossing looking title that reminds me why I love gaming. Obviously, at Spearhead we got a side team doing R&D for a time machine, so whichever thread finishes first will decide when we release! Deal? Okay Simon that sounds like a deal…with one qualifier. I assume if the game gets completed first, the work on the Time Machine will still go through. That means if we can’t get this one early, there would be another, or at least an add on soon after. Pretty impressive! Will be keeping an eye on the release. Excellent work by the team! Congratulations Atul Nath Mehra on another game! See you soon! That art style is really strong, awesome work! Will this be a fairly linnear game or will it be a bit more open for exploration, etc.? This game just look AWESOME ! Looks beautiful. Love the art style. Already loved this game,gotta say it looks really great plus the graphics look beautiful,amazing art style indeed,liked the protagonist as well,the universe seems very compelling too,I can feel the potential in this game…really looking forward to see more about it and wish you guys good luck…hope everything goes right with this project cuz I really wanna see it finished. Awesome style, definitely on my watch list! Looks awesome, too bad it’s gonna be a while. What’s the gameplay like though? 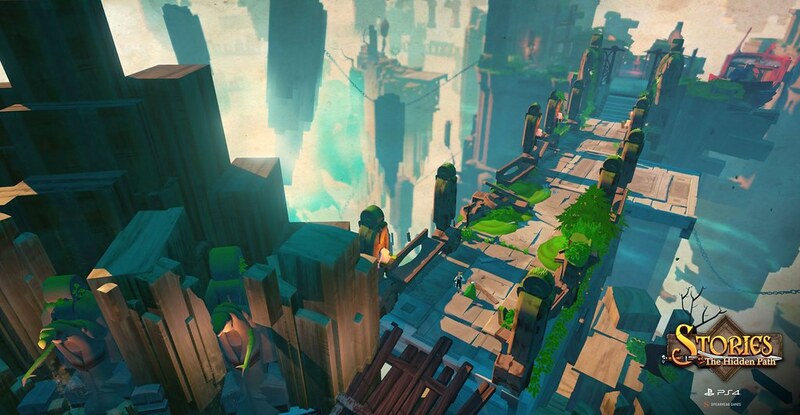 Is this kind of a Bastion-esque vibe type of game? Kind of sounds like it, which I’m totally down for. So if you’re based in montréal would you mind to send an invite to me so i’ll be able to see the studios and watch how amazing the game is? Allez quoi tabarnak :)? Sounds great. Looking forward to reading/seeing more about/of it, hopefully picking it up when it releases. It looks very Ratchet and Clank-y, which is a good thing, since we haven’t had a good R&C game since the end of the Crack in Time trilogy. I’m definitely going to get this when it comes out. Holy ****, this looks great! Super excited to see more of this. If this reviews well, I’ll definitely buy it. Otherwise, kind of depends on what issue reviewers had.